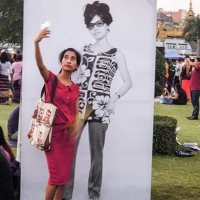 Yangon Fashion 1979. 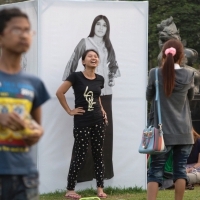 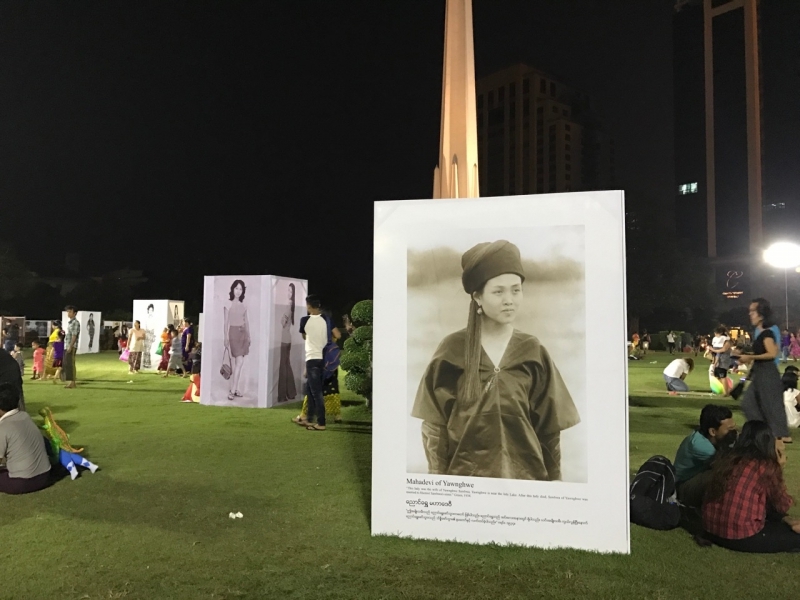 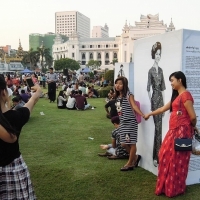 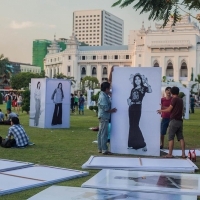 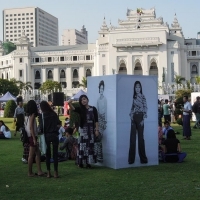 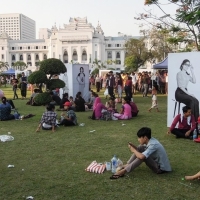 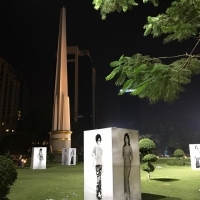 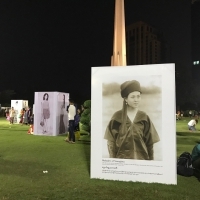 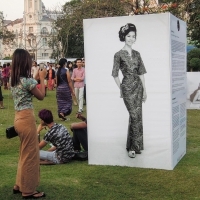 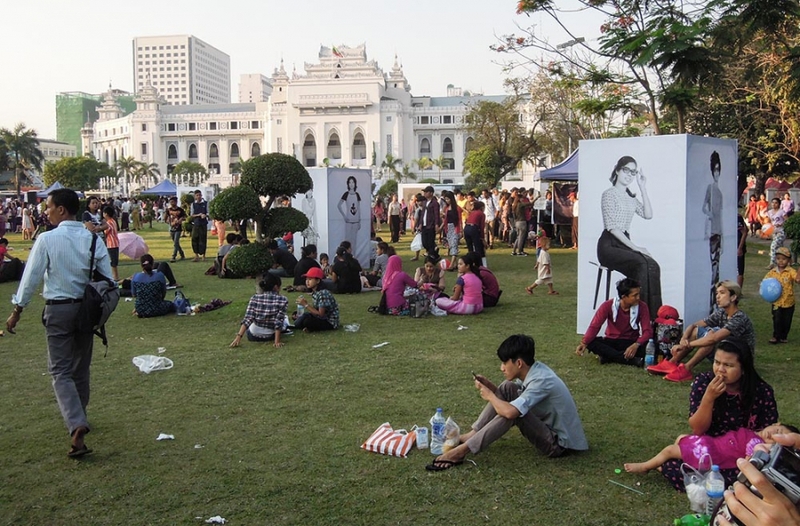 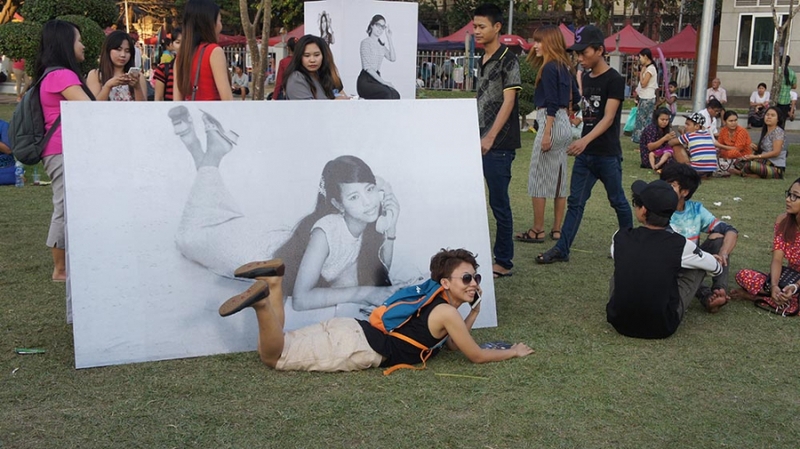 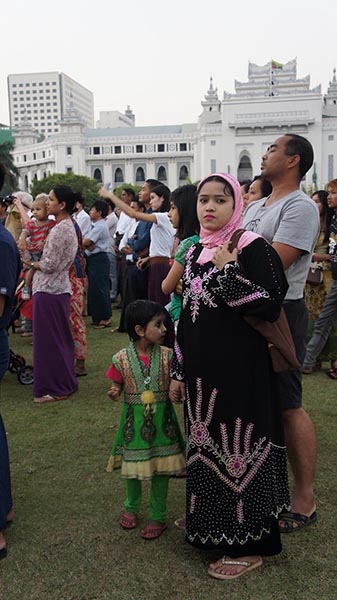 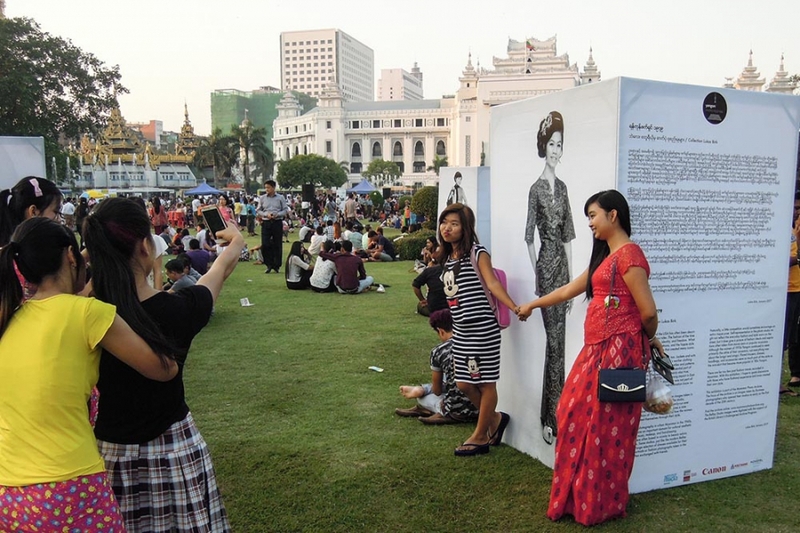 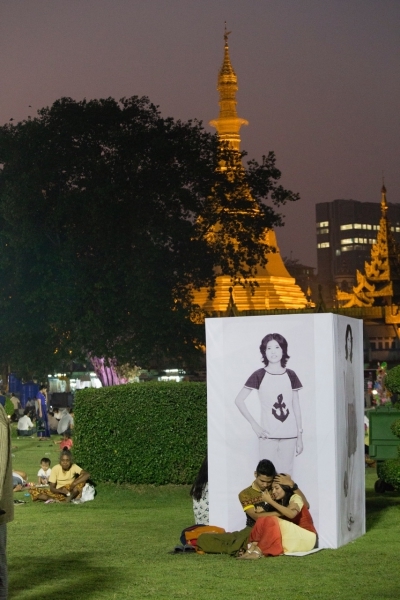 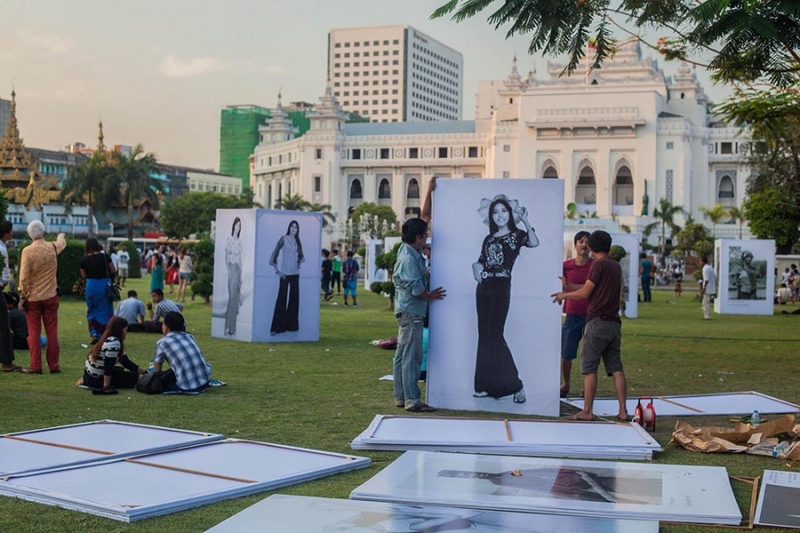 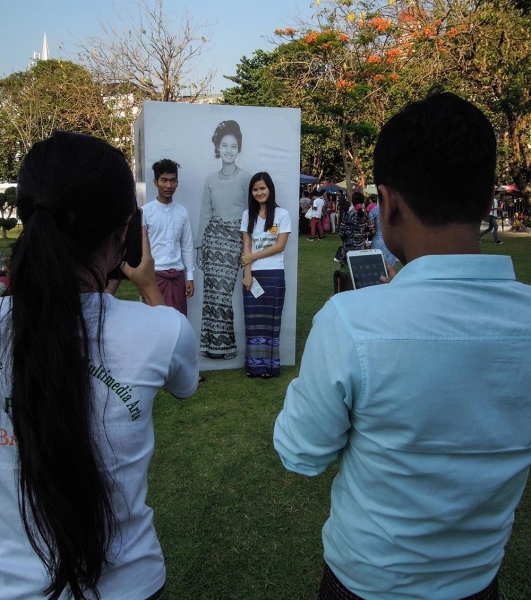 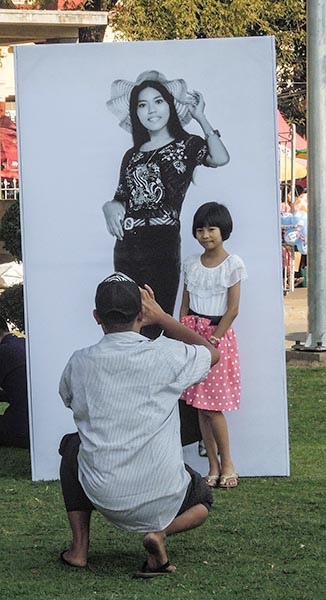 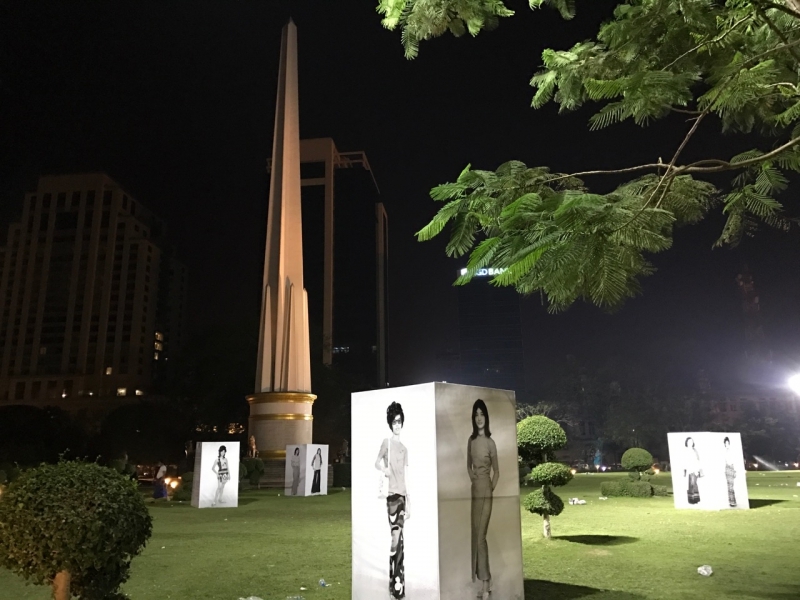 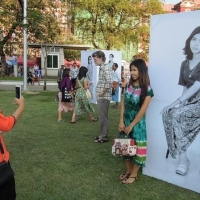 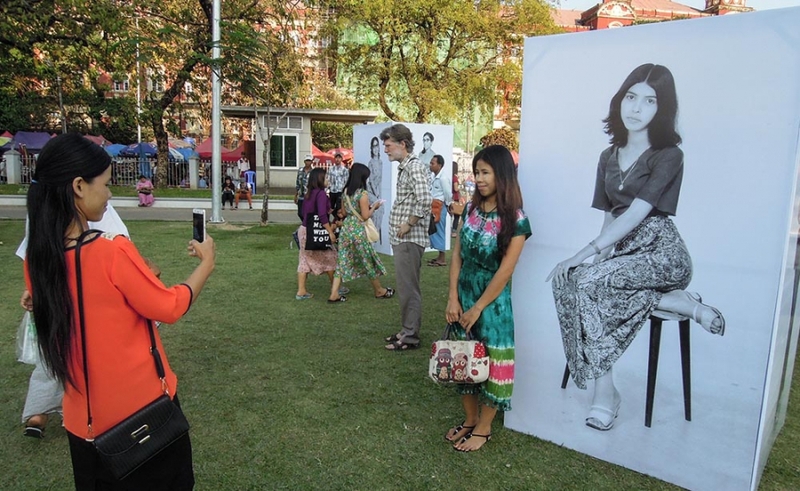 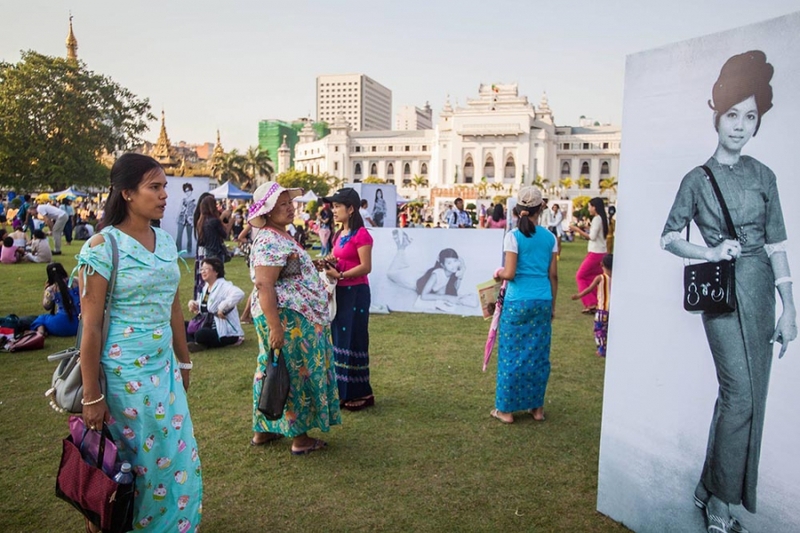 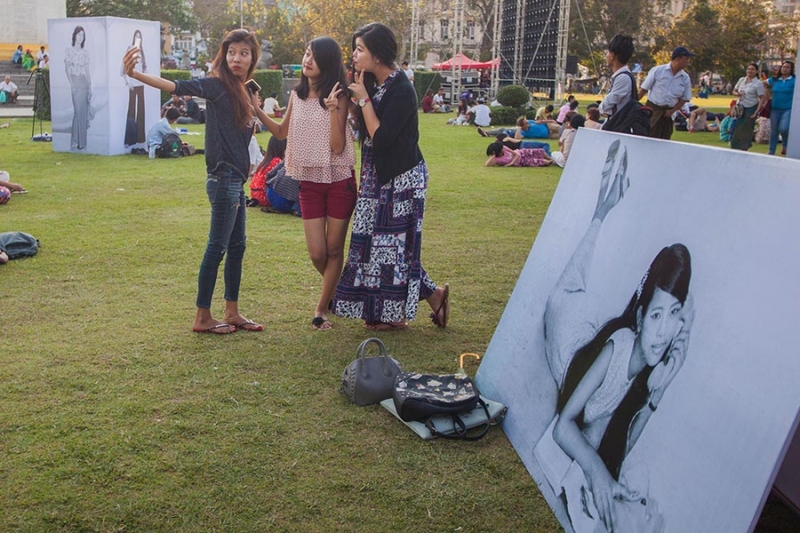 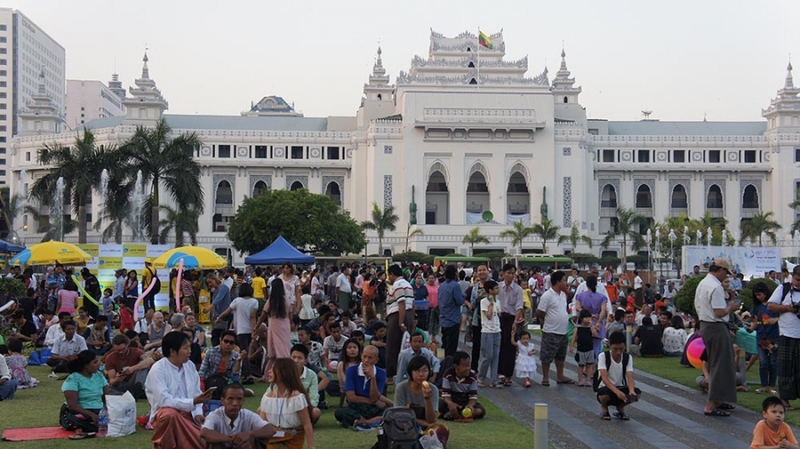 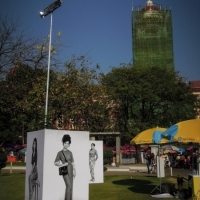 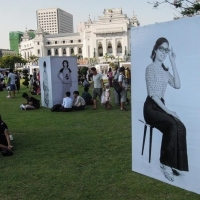 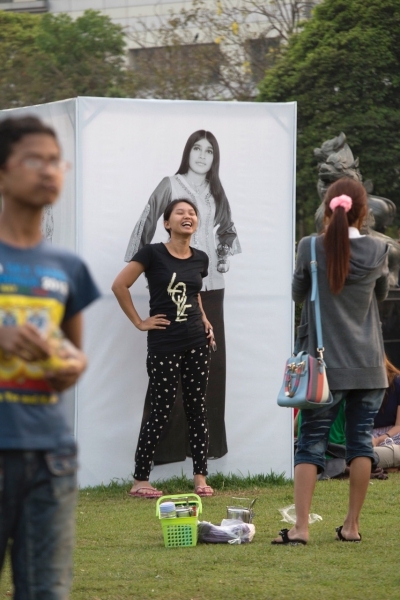 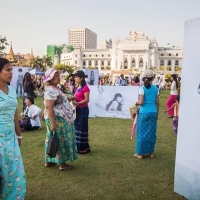 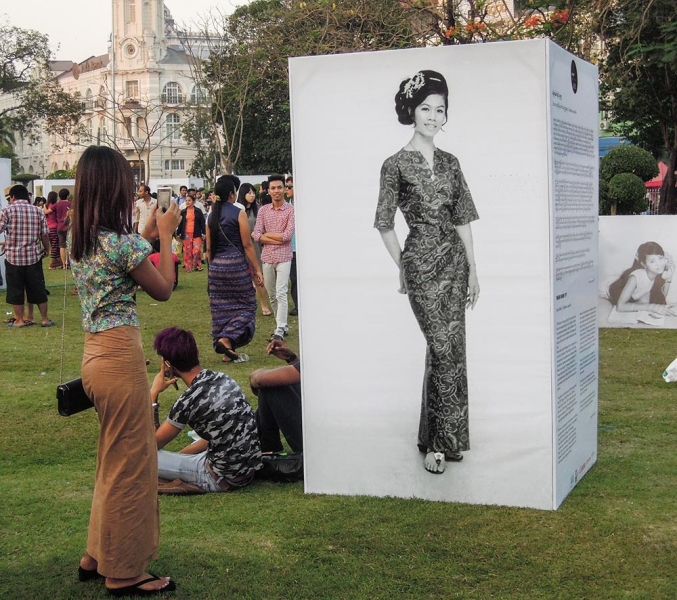 Public installation at the Yangon Photo Festival, Maha Bandula Park, Yangon, March 2017. 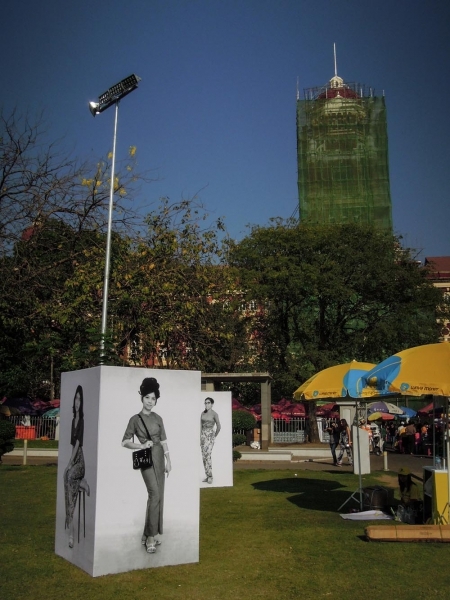 This exhibition is the first showcase of fashion images taken in late 1970s Yangon, at Bellay Photo Studio. 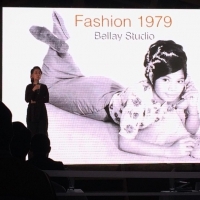 The studio, founded by Har Si Yone in 1969, has been family-run ever since and is still active today. 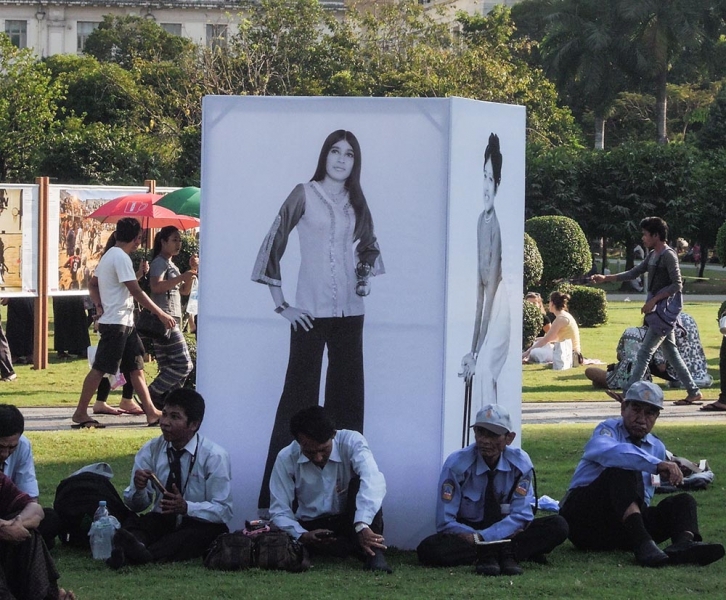 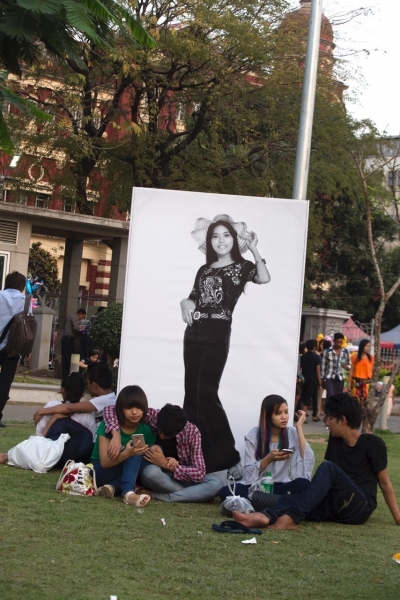 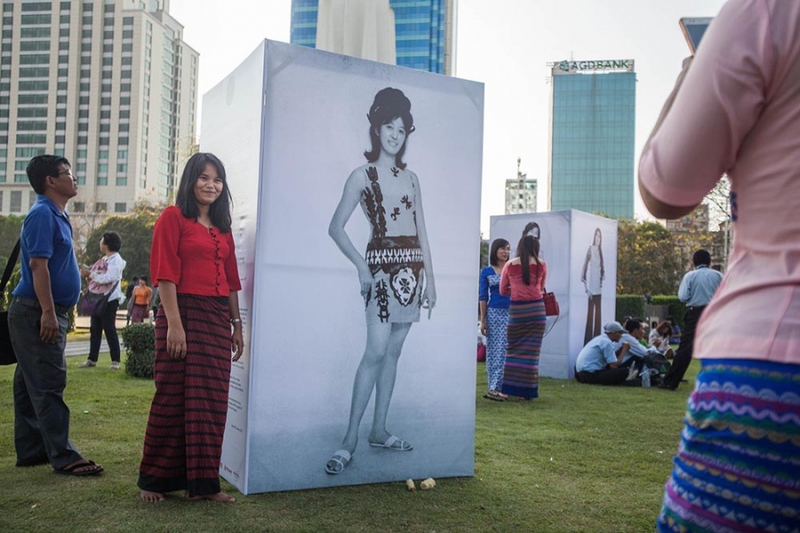 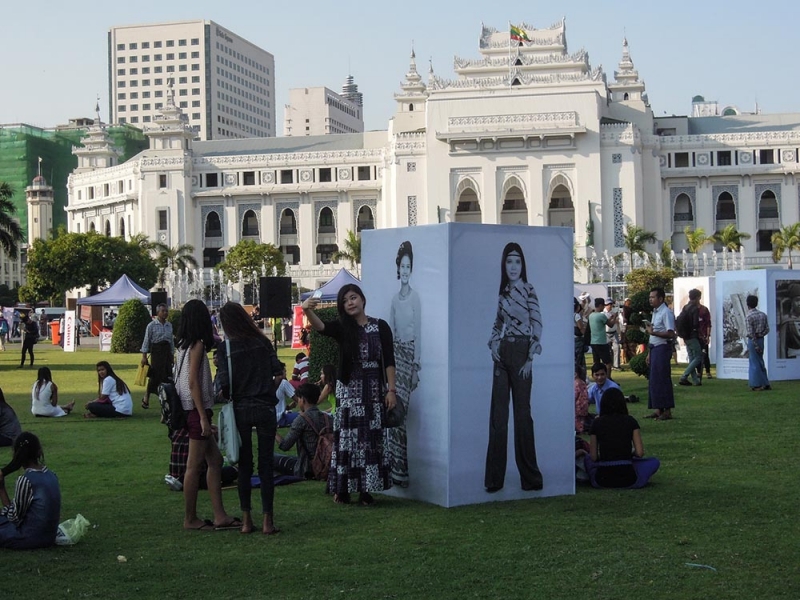 The exhibition gives a rare insight into the fashion of 1970s Yangon, and how the women of the time presented themselves through their style. 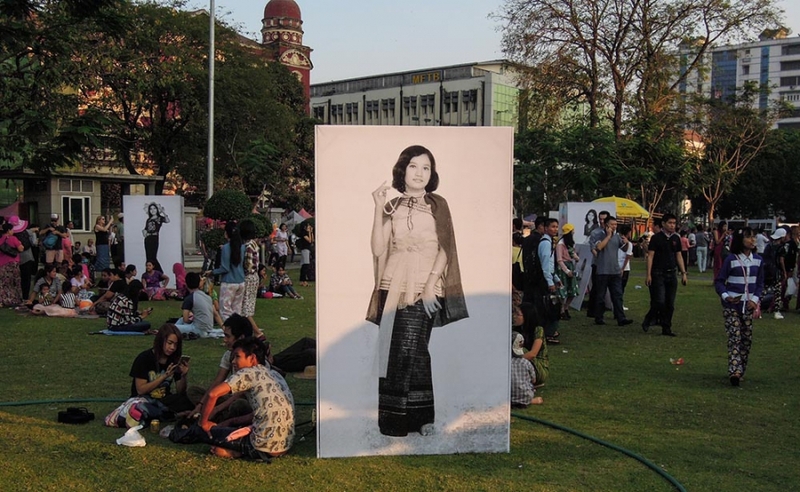 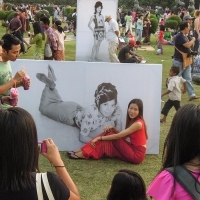 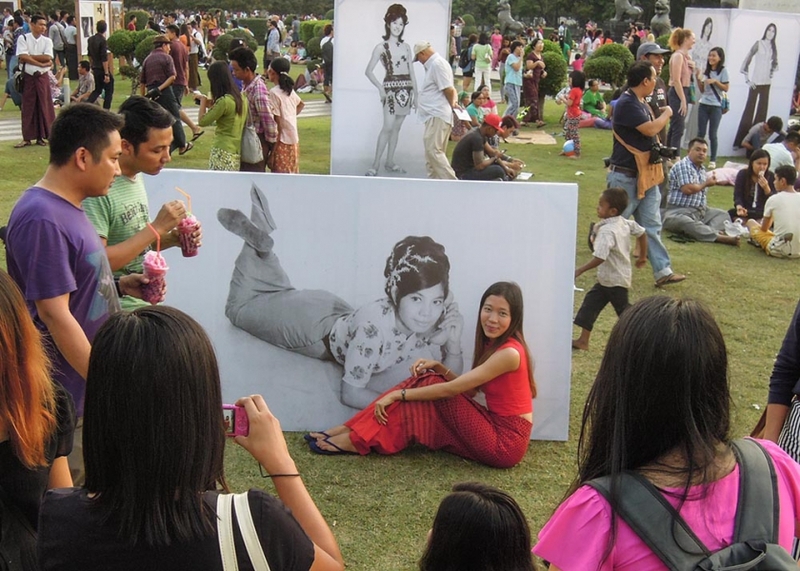 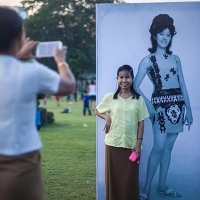 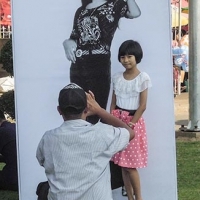 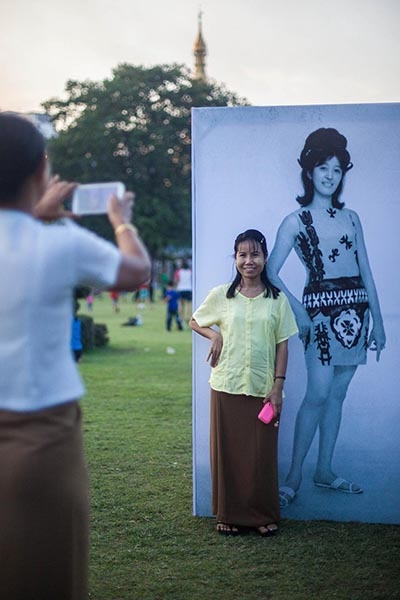 With the rise of photography in urban Myanmar in the 1960s, portraiture became an important domain for cultural aesthetic along with film, music, makeup, and hairdressing. 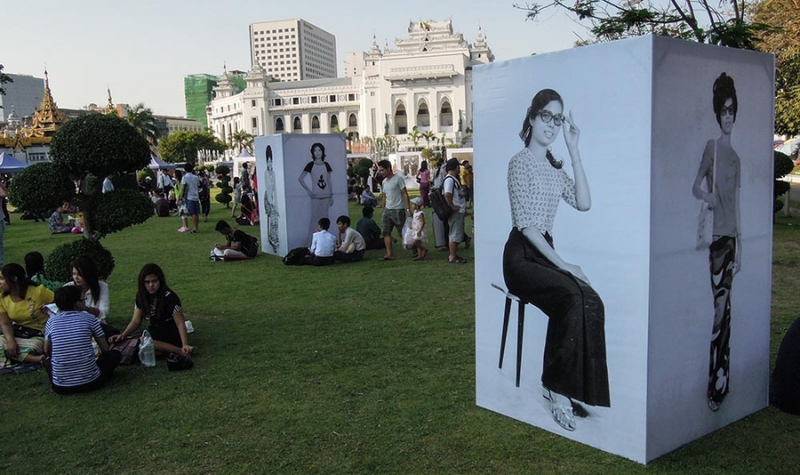 Photo studios were often based in vicinity to beauty salons and dress shops. Some studios, just like the modern Bellay Studio, have a large selection of dresses available for their clientele. 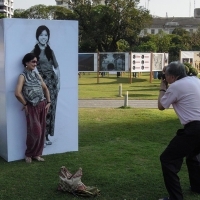 The portraits or fashion photographs taken in the studios were often exchanged with friends. 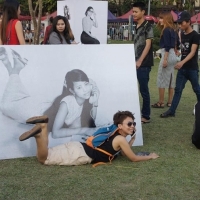 Naturally, a little competition would sometimes encourage an extra risqué pose. 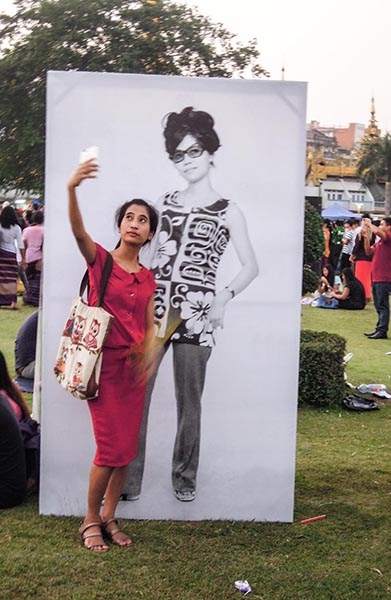 Self-representation in the photo studio might not reflect the everyday fashion and style worn on the street, but it does give a picture of fashion ideals and aspirations often taken from movie stars or popular musicians. 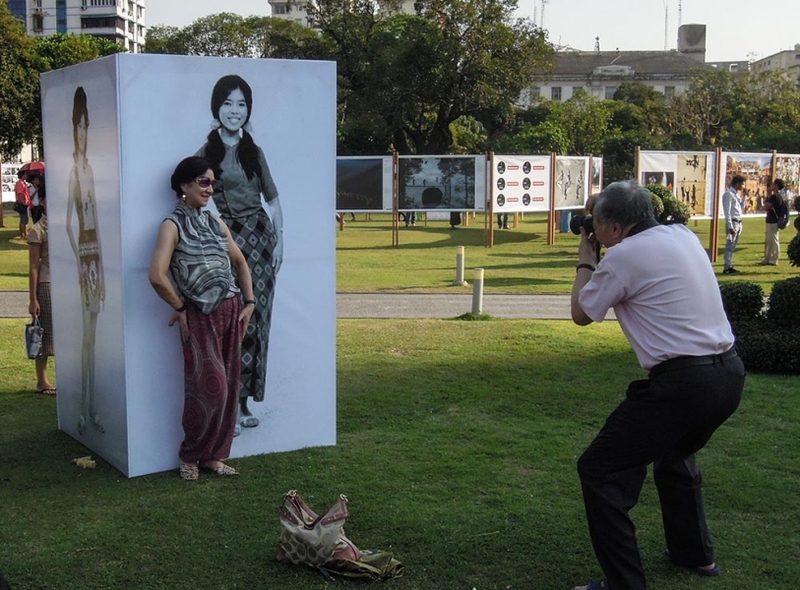 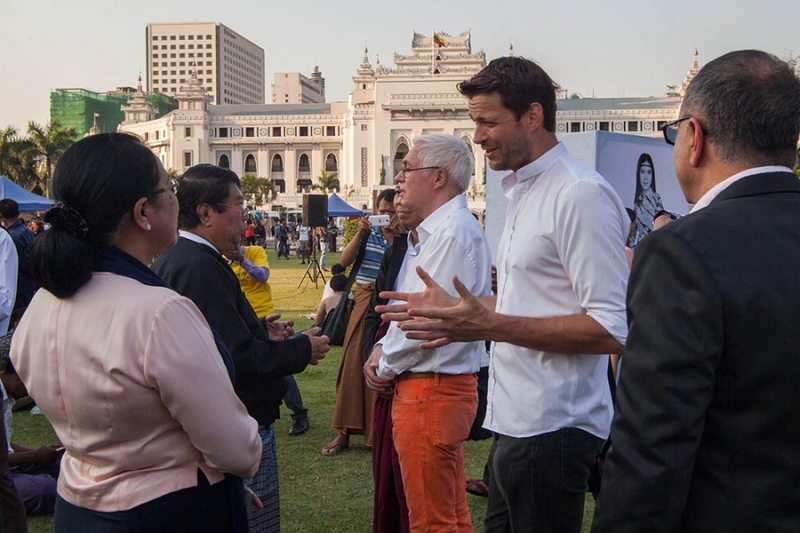 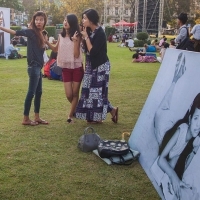 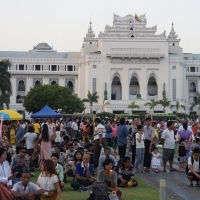 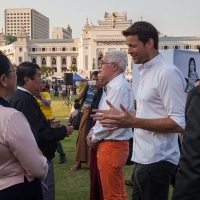 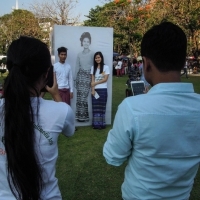 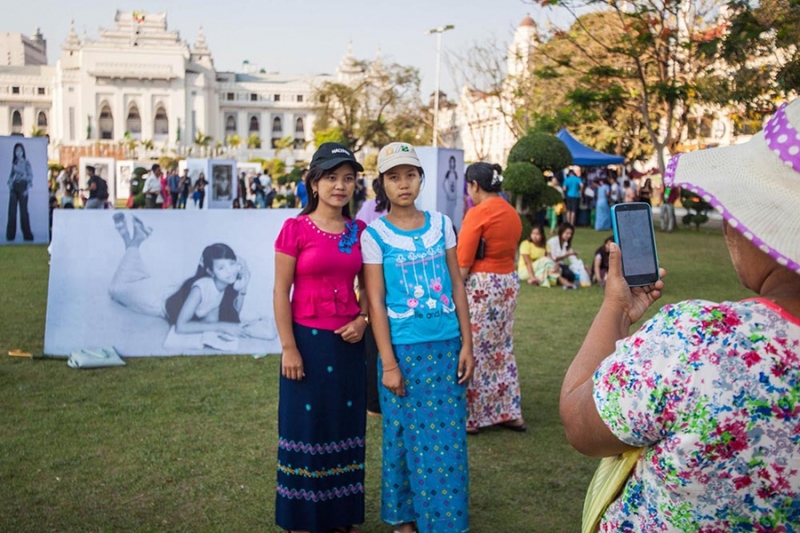 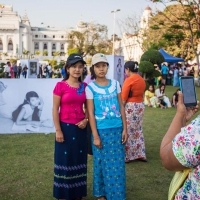 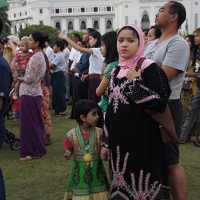 This exhibition is part of the Myanmar Photo Archive. 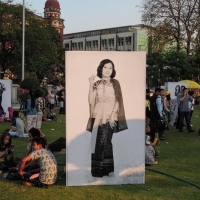 The focus of the archive is on images taken by Burmese photographers who opened their studios as early as the first decade of the 20th century.